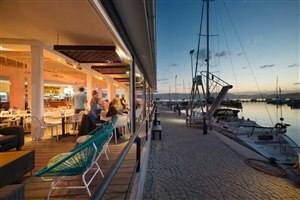 Thesen Island has become one of the most sought after destinations in South Africa. 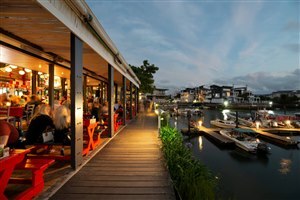 Island beauty and tranquility with bridges, waterways, safe footpaths, bird reserve and hide, private beaches, kiddies playground, squash and tennis courts and much more. 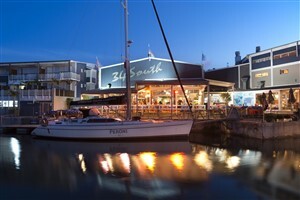 It is within walking distance from Thesen Harbour Town with its numerous restuarants and shops. 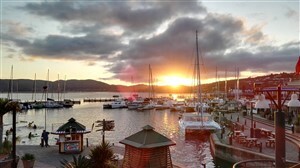 5 Minutes drive to Knysna Quays Waterfront amenities and Knysna Town itself. Watersports and adventure activities available. Several good golf courses in short driving distance. Forest Trails can be booked at the Waterfront. 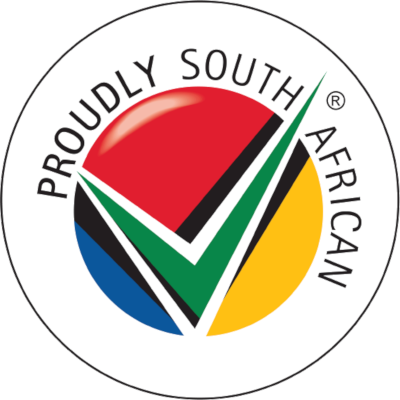 Good base for exploring the Garden Route on day trips. Lovely single storey, three bedroom home with large outdoor living area and gas BBQ. Kitchen has all the mod cons including cooking hob and oven, microwave, dishwasher, washing machine and tumble drier. House decor and furnishings in wooded Knysna style with natural finishes. Solid wooden furniture throughout. Loft Studio Apartment (at rear) can be hired in addition to Ebbtide House. 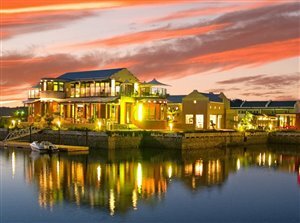 (See Eventide Loft on Thesen Island). Interesting natural garden. Daily maid and service, if required. Best security in the country. Mooring and jetty available, just across the road from house. Many birds - see large water bird visiting the jetty? Boats available for hire from local boat hire companies. 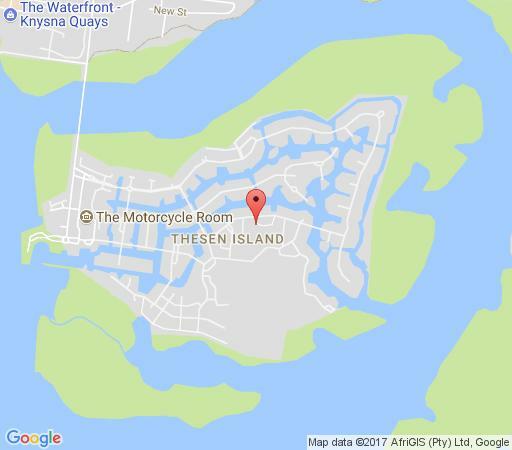 Lovely spacious three bedroom home on Thesen Island. There is also a separate studio Loft Apartment which can also be rented, if four bedrooms are required. This requires an extra charge. A refundable deposit against damages is also required.